My favourite museum in Paris is the Musée d’Orsay so it is not a surprise that I pick up a Carte Blanche on an annual basis. They are also very sweet to consider anyone under 36 to be eligible for reduced “young person” rate (yay!) when the Louvre wouldn’t even offer you similar reduced rate unless you’re under 30 – even 30 years (and a day) is a disqualifying age! Actually, the youth solo rate at the Louvre costs more than my youth duo at Musée d’Orsay. Bonus with Carte Blanche – entry to Musée de l’Orangerie just across the River Seine is also free. The latest addition to my growing number of museum passes is the Laissez-Passer from Centre Pompidou, courtesy of my brother-in-law as Christmas gift. I have not yet profited from it, considering I’ve been busy chasing down exhibitions in the Grand Palais in January, but in the coming weeks, I will be putting it on serious use. I’m even setting a museum date with a friend who wishes to see an exhibition together, but which F is not too keen on. They have some interesting art lectures coming up too, but sadly don’t fit my February/March schedule so I have to give them a miss. If I have a genie that would grant wishes, I’d asked for a multi-museum annual pass. There is one for the museums managed by the Mairie of Paris, but these are museums with permanent exhibitions that are already free to visit thus the purpose of the pass is to see the temporary exhibitions. 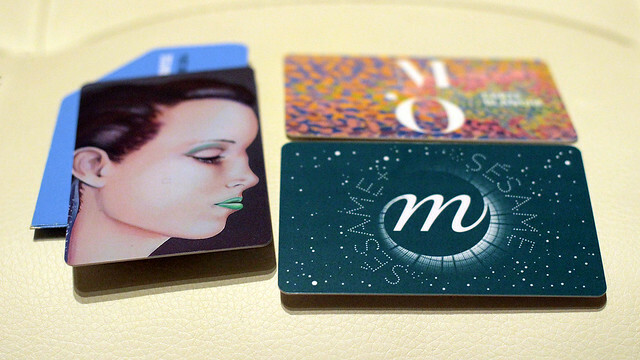 What I really would love to have is a multi-museum annual pass that involves many of the big name museums. I don’t mind paying up to €120-150 for this privilege, €200 if it’s a card for duo. Hello museum sales managers, are you hearing me? I remember you talking about that pass, and it is very good value considering the single entry to most museums in Amsterdam was already quite expensive if I recall correctly.